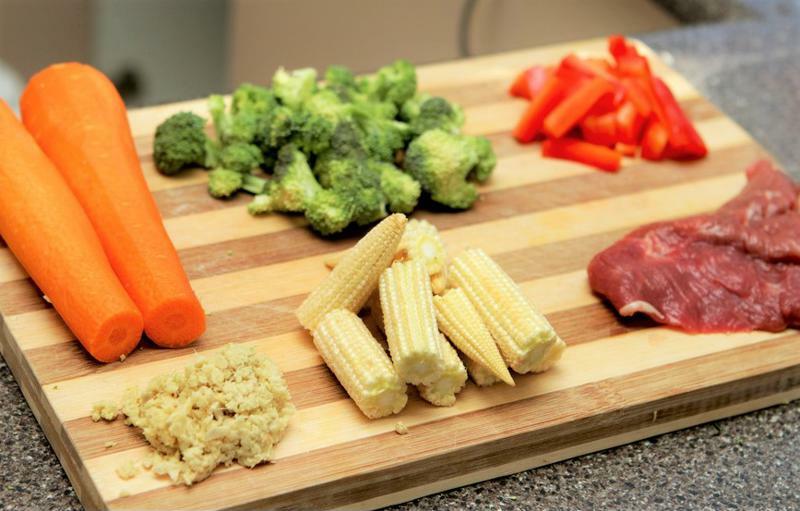 From Instagram fitness fanatics to famous lifestyle bloggers, everywhere you look these days someone is posting pictures of their perfectly portioned weekly meal prep. More than just a social media trend, weekly meal prep is a great way to save time and eat better in our increasingly hectic lives. We've put together a comprehensive beginner's guide to weekly meal prep, from why you should start doing it to exciting ideas of what to put in your lunch box. 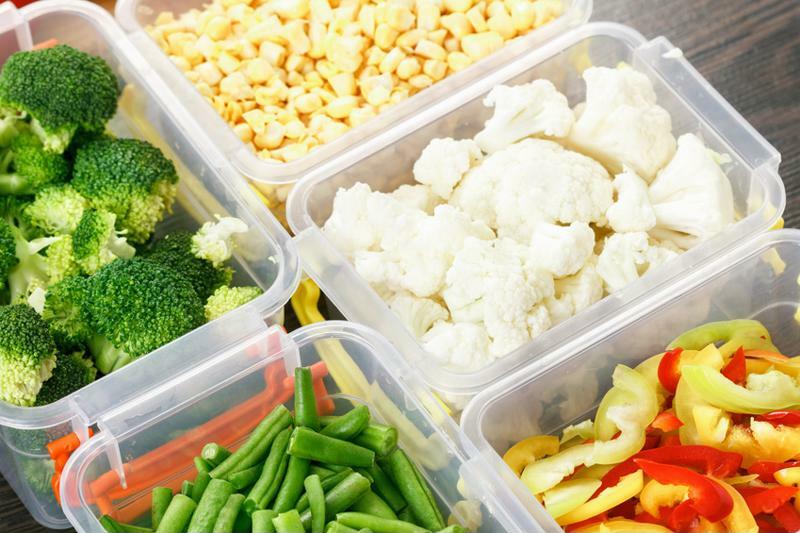 Preparing food for the week ahead might seem like just another thing to add to the long list of chores you don't want to do on a Sunday night, but there are loads of ways that weekly food prep can make your life easier. If you're someone with a hectic life that feels like you're shuffling between work, gym, and your kid's football practice whilst trying to squeeze in everything else, meal prep could be a great way to save time. 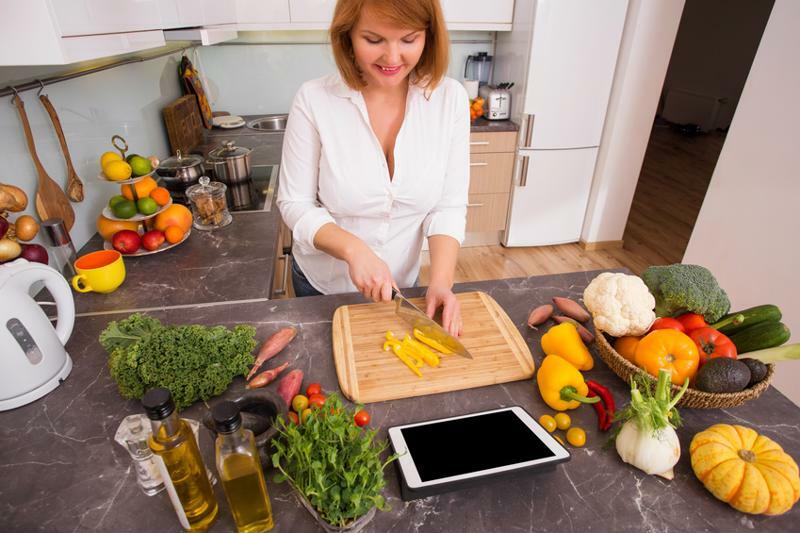 Rather than coming home from a busy day at work to spend 20 minutes chopping vegetables, you can simply cook your ready-prepared meal and spend time with your family over home-cooked food. Preparing meals for the week also makes it easier to make healthy choices, taking all the willpower out of resisting a phone call to the local takeaway at the end of a long day. Instead, you can simply open the fridge to pre-made, healthy meals that can be table-ready in a matter of minutes. Whether you're watching your waistline or your wallet, preparing work lunches or quick dinners for the week is a great way to keep track of what you're eating. Been considering food prep? It's worth it. The key to turning weekly meal prep into a habit, rather than just a one-off experiment, is to start small. No one is going to spend their Sunday making 21 meals for the week ahead, so keep your goals realistic. Pick one meal that you always struggle with, whether you always skip breakfast or can't resist the canteen chips at lunch, and prepare that for weekdays only. It's important that meal prep fits around your lifestyle and not vice versa, so pick an evening when you would usually be at home anyway. No one wants to forgo their family Sunday dinner so they can chop a huge mountain of carrots for the week ahead, so be sure to do your prep on a day that suits you and aim for no more than five meals at first. Start small when you begin meal prepping. Another way to make sure your meal prep becomes a weekly habit is to make sure it works for you. It can be easy to get overexcited scrolling through immaculate Instagram feeds and vow to overhaul your life, but most of us don't have the time to make a week's worth of photogenic rainbow salads for a family of four. Instead, identify areas where you could do with a bit of help, whether it's getting all the veg chopped for the week ahead or preparing lunches for work, and just focus on that. There's no right or wrong way to do your meal prep, it's all about finding things that help you eat better and make your life that bit easier. And it certainly doesn't have to be Instagram-ready, a tub full of ready-chopped onions can be just as helpful (if a little less photogenic) than a layered mason jar soup. When it comes to planning what meals you're going to make for the week, there are a couple of things to keep in mind. Firstly, it's a good idea to rely on tried and tested recipes that you and your family love. There are few things worse than spending your evening making food for the week ahead, only to discover it's disgusting and now you have to eat it five days in a row. Secondly, pay attention to food groups and portion size to get the most out of your meal prep. Weigh foods to make sure they're in recommended portions and make sure you have the right amount of protein, carbs, and veggies in each meal. That way, you can be sure your meals are as healthy as they are convenient. Once your meals are all prepped ready for the week ahead, you're going to need good storage to make sure they stay fresh until you need them. If you're planning to prepare meals for the week on a regular basis, it is worth investing in some quality storage containers. You need them to be durable, microwavable, airtight, and preferably clear so you can see which meal they contain. As your meal will last longer the less air it has in it, a vacuum sealing system can be a great way to make your meals last that bit longer. Where salads and chopped veg would only last a couple of days in the fridge usually, they can last up to two weeks if they are vacuum sealed! The same goes for cooked food like soups and stews, so this can be a great investment if you're worried about changing plans leading to wasted meals. Keep your prepped food fresh with storage containers. To get you started, we've rounded up a tried and tested recipe for each meal of the day so you can get started on making your week that little bit easier and a whole lot more delicious. This instant oatmeal can be prepared days, even weeks, ahead of when you'll need it. It's perfect for popping in the cupboard for those mornings when you simply don't have time. If you use dried apple slices and vacuum pack your dry oatmeal this can even live in the pantry for months. Layer your oats in the bottom of an airtight container, then add the apple, cinnamon and sweetener. Seal it tightly or vacuum seal to extend its shelf life. When you're ready to eat it, pour over the boiling water or milk. Leave to stand for 10-20 minutes depending on preferred consistency. Dig in! There's no need to have a vending machine choccie bar for breakfast at your desk ever again. 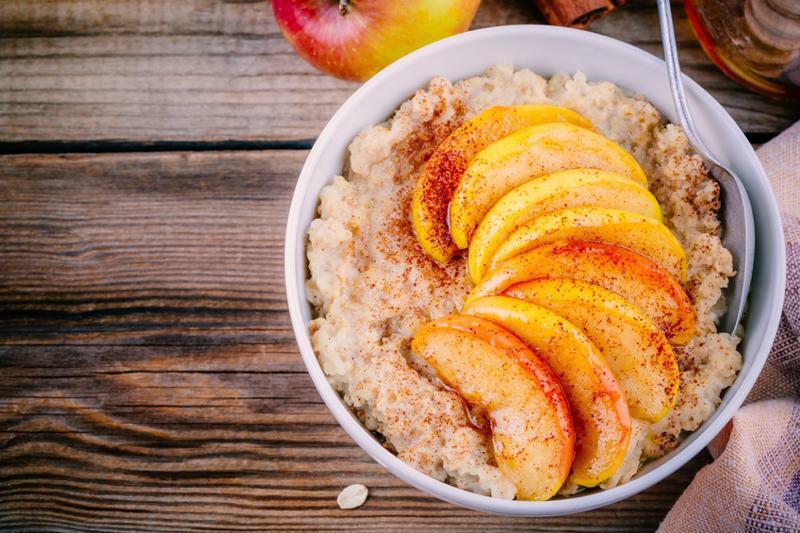 Prep a nice breakfast with this apple cinnamon instant oatmeal. Make these delicious and filling lunches at the beginning of the week to curb the temptation of the fast food restaurant across from your workplace. Finally, a portable lunch you can actually look forward to eating! Shake together all the vinaigrette dressing ingredients and set aside. Meanwhile, heat the oven to 220C. Toss the sweet potato cubes in the olive oil and chilli powder, then roast in the oven for around 25 minutes, or until cooked through, turning halfway. Once cooked, allow to cool. Assemble your salad in four containers, starting with the vinaigrette, then adding the lentils, sweetcorn, sweet potato, and slices of pepper in layers. When you're ready to eat your salad, simply shake or stir it to coat all the ingredients in vinaigrette and enjoy! 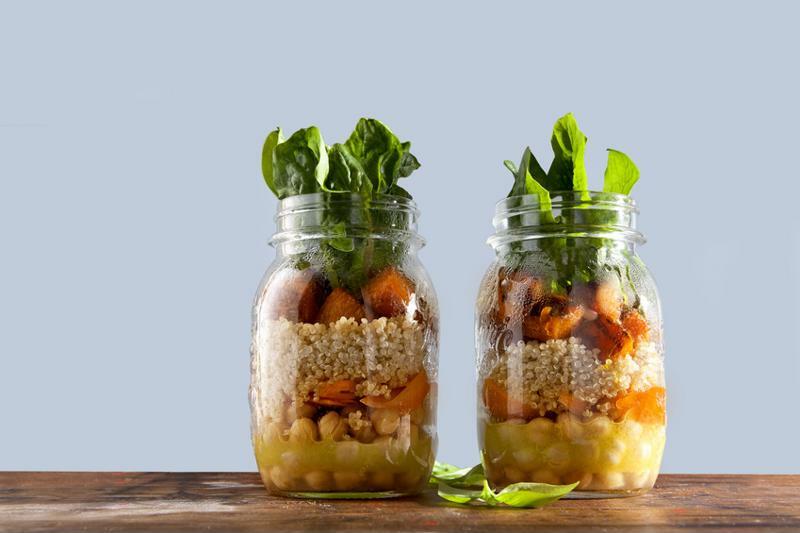 For a nice lunch treat, try these sweet potato mason jar salads. This is the perfect recipe for making meals for the week ahead without even having to be there to cook them. Just chuck the ingredients in the slow cooker and come home to handy weeknight dinners, ready prepped. Perfect for busy evenings! Lightly grease your slow cooker with a non-stick spray. Rinse the quinoa, kidney beans and sweetcorn, then add them to the pan along with the chicken, chopped squash, tomatoes, garlic and seasoning. Pour over the chicken stock and give everything a good stir. Cover and cook on a high heat for 3-4 hours, or until the squash is very tender and the quinoa is cooked through. If you want a creamier consistency, you can remove some of the squash and mash it, before returning it to the soup. Season with salt and pepper and allow to cool. Divide your soup into around six hearty portions in airtight or vacuum sealable containers and store in the fridge until you need them. You can also freeze this recipe for handy home-cooked ready-meals whenever you need them. 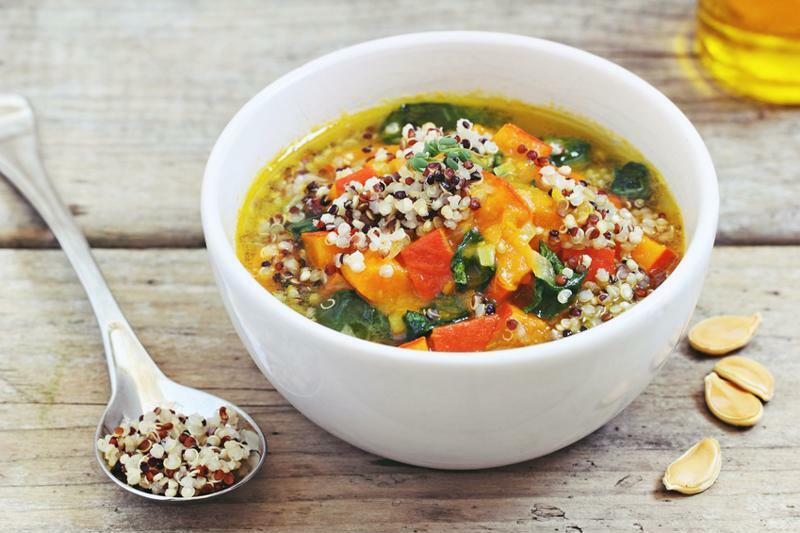 If you want a low-hassle meal, check out this butternut squash quinoa. In this article. we’ll give you plenty of tips on the best ingredients to put in your smoothies, foods that help boost immunity and some top-notch smoothie recipes to help get you started. Whether it’s meat, veggies or your yuletide dessert that needs preparing in advance, here are some top storage tips and shopping hints to help you avoid making a meal of things on the 25th.